Most fans, in fact virtually all of them, will agree perfectly with Warren; although, shockingly and sadly there are those people who are trying to tell us that AJ, at just 20-0, is already a great fighter – even deserving of being compared with “The Greatest.” Warren spoke on the Alan Brazil Sports Breakfast show this morning and the promoter explained his feelings on Joshua. Argue with that if you can! Indeed, Warren – who says AJ has heart comparable to Ali – sums things up perfectly. How good is Joshua? We still don’t know, yet there are some people guilty of being way too quick to attach the great tag on young stars of today. Joshua, a level-headed guy, would likely feel embarrassed at being compared to Ali, one of his heroes (at least he should feel embarrassed). 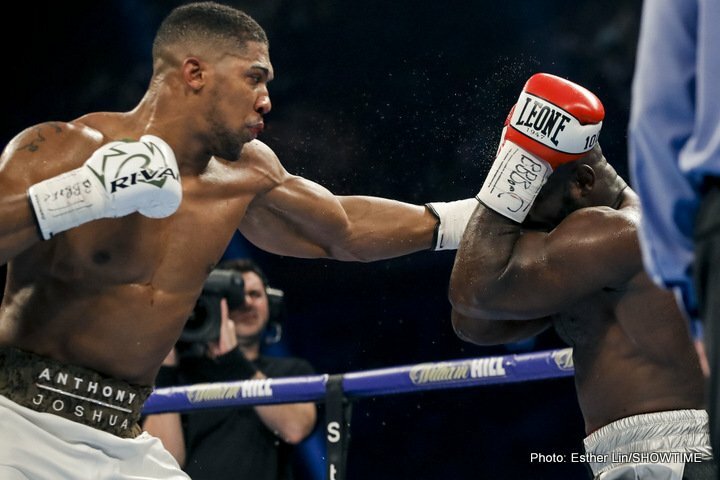 Who knows, in time AJ may emerge as the best heavyweight of his era; with wins over his rivals Deontay Wilder, Tyson Fury, Joseph Parker and a handful of top contenders. But until then, no-one should mention Ali and Joshua in the same sentence. As Warren has explained perfectly.